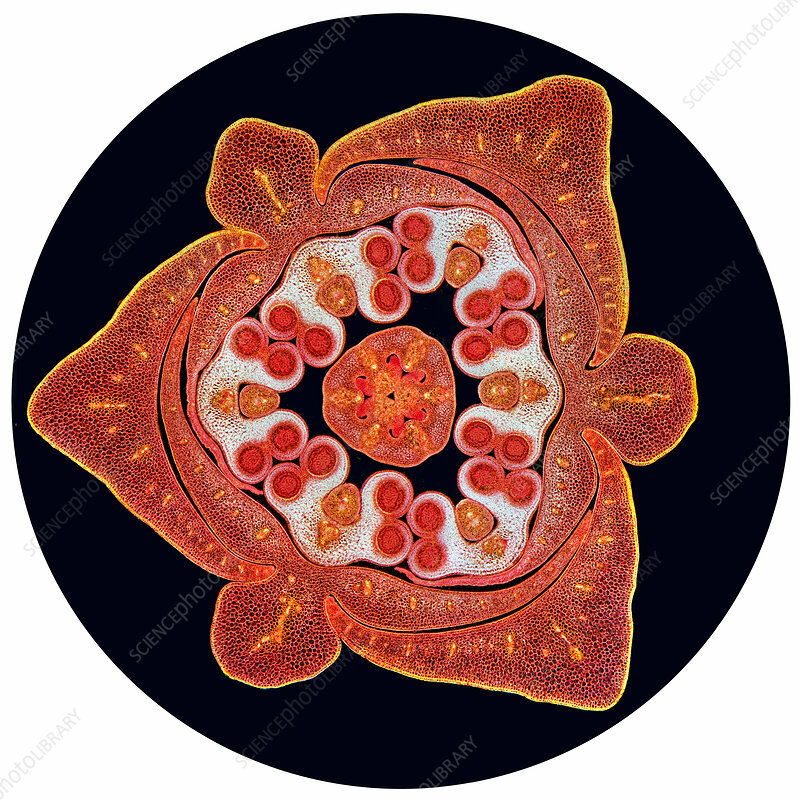 Transverse section through a stained lilium bud (Liliaceae) showing the male and female reproductive organs. At the centre of the image is the pistil, the female part of the flower which contains ovules housed in an ovary. This is surrounded by 6 male anthers (white) each containing 4 pollen sacs (red circles) which will be filled with pollen grains. Around the outside of these are 3 petals and 3 sepals. Viewed with a light microscope using dark ground illumination. Horizontal field width is 10 mm. Tessovar.